Our dear beloved husband, father, and grandfather died April 23 on the island of Tortola in the British Virgin Islands. He was born in Vall’Alta, Italy. He immigrated from Italy to Concrete with his mother, Emilia Cugini, and his two sisters, Tecla McDaniel and Francis Horne, aboard the Conte Di Savoia in 1935. His father, Isaia, immigrated in 1927 and the family was separated for many years because of the Depression. Siro graduated from Concrete High School in 1943, and the University of Washington in 1951. After high school he served in the U.S. Navy during WWII in the South Pacific on a aircraft carrier as an Electrician’s Mate. He worked for General Electric and lived in Caracas, Venezuela, for many years. He subsequently retired to both Palmas Del Mar, Puerto Rico, and Concrete, Wash., spending approximately six months in each location. 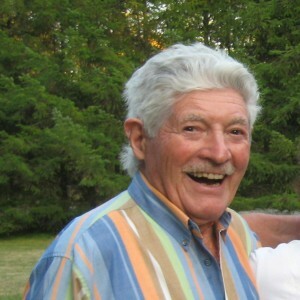 Siro was preceded in death by his son, Cary Cugini, and is survived by his loving wife, Delia; his daughter, Caprice; his son, Kim; grandchildren Cari and Sean and great grandchildren Lucas and Evan; as well as nephews Rick Loop, Marc McDaniel, and niece Wendy McDaniel. Siro’s love of life was apparent to anybody who knew him. He was a gourmet cook, an accomplished sailor who loved the Caribbean Sea, and he loved the outdoors of Concrete. He loved to fish the nearby streams and lakes. But above all he loved his wife and family. He was so loved, and his memory will live on in our hearts. There was a service for him in Puerto Rico on May 6. There also will be a service for him in Concrete; however, it has not yet been scheduled. He will subsequently be interred in the Concrete Cemetery with his family.